Mia S. Elwood, MSW, LCSW, SEP, founder and clinical director of Healthy Futures, is an Arizona Licensed Clinical Social Worker and a Somatic Experiencing Practitioner. She has been in practice since 1996. Specializing in eating disorders, Mia worked six years at an inpatient and partial hospitalization eating disorder program. When the clinic closed in 2003, this led the way to the creation of Healthy Futures. She treats anorexia, bulimia and overeating in males and females, age 6 to 60. Mia also has a specialization in childhood and family obesity. She is a certified Pediatric Obesity Specialist and is licensed to provide the Shapedown and Kidshape® programs. Mia also has a great deal of experience with gastric bypass surgery for adults and is a consultant with local hospitals and practices. She also leads a multidisciplinary team at Healthy Futures to provide pre- and post-surgery counseling, nutrition and exercise consultation. After struggling in adolescence with eating, weight, and mood issues, her career has been exclusively focused on helping individuals recover fully from weight and eating issues. Her warm, down to earth, ‘been there’ approach along with her extensive experience and education in these areas help individuals and families feel safe and filled with hope. Her overall goal for clients with eating and weight problems is to help them have happier and healthier futures where weight becomes exactly what is should be – simply a number on the scale. In addition to eating disorders, Mia helps clients fight depression and anxiety, as well as help individuals and couples overcome relationship problems. She does a great deal of teaching in her therapy and uses dialectical behavioral therapy skills training as one model. Another guiding force in her work is Somatic Experiencing®, a trauma healing technique that works with the body’s natural ability to heal itself. Mia teaches clients to re-parent and safely reconnect with themselves, creating a nurturing home inside. She greatly believes in using an individual or family’s strengths to help them overcome their current problems. Because of her background in social work, Mia emphasizes the systems impacting the person and their family. She especially enjoys working with people and their families and witnessing change and growth within the family system. Originally from Nebraska, Mia earned her master’s degree in Social Work (1995), with an emphasis in marital and family therapy from the University of Nebraska at Omaha. She lives with her high school sweetheart and their three young, happy boys, one of which is a furry dog named Gus. Kim DiRé, LPC, MEd, SEP, DBH, is passionate about helping people find their strength and wholeness from within. Her background in education gives awareness to the needs of children and adolescents. Family dynamics, marriage and parent-child relationships are her specialties. Her integrated approach to therapy uses spirituality with psychology honoring each individual’s emotions, traumas, family work, past and goals for the future. 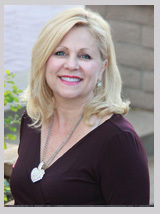 Kim has her Master’s in Counseling from Argosy University/Phoenix and a Master’s in Education from Chapman University. She also is a certified Hypnotherapist graduating from the Atwood Institute for Research and Education. Kim is an active member of the American Society of Clinical Hypnosis and the American Psychological Society – Division 30 – Society of Psychological Hypnosis. Her training in Cognitive Behavioral Therapy (CBT), Dialectical Behavioral Therapy (DBT) and Somatic©Experiencing for trauma healing is useful when working with clients experiencing all trauma, eating disorders, depression, anxiety, fears and other syndromes. Recently, Kim has increased her education by completing two specialized areas of psychological training. As a Certified Somatic©Experiencing Practitioner, Kim works with the world renowned Dr. Peter Levine’s method for healing body trauma. The trauma work is some of Kim’s most rewarding therapy work in its gentle format and the relief to an individual’s suffering. Another important piece to Kim’s expertise is Childhood Obesity. Through two programs, Shapedown© and Kidshape©, Kim is helpful in creating positive results for many children. She is certified at the highest level and works currently with many children and their families in the area of Childhood Obesity. Her expertise helps her guide children to empower themselves towards a balanced life. These children and their families are allowed to increase their choices for healthy living through emotional and behavioral changes. Currently, Kim DiRé has entered a doctoral program in clinical psychology. Her studies increase the awareness and knowledge of her professional therapy skills. Kim believes that with therapy work, transformations from emotional pain and life’s problems leads individuals to healing, wellness and more fulfillment. Everyone can improve their life…do you have the courage to take the healing journey? 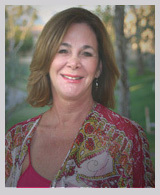 Jeanne Phillips, MA, CPC, CEDS, earned her Masters Degree in Counseling from Ottawa University and Certified Professional Coach from GROW Training Institute, Inc. She started the Valley’s first eating disorders support group, Self-Help for Eating Disorders (SHED) in 1981 and ran the group until 2003. In 1993 she became a Certified Eating Disorders Specialist. Jeanne is passionate abot working in the field of eating disorders and can often be heard saying, “The reason God allowed me to have an eating disorder was so I could help others when I grew up,” hence applying her clinical skills and personal experience in working with her clients. Jeanne has been published nationally and internationally and has taught classes on the Psychology of Dieting for the Maricopa Community College District. She developed a special program “Regaining Control: Overcoming Emotional and Stress Eating” for the Hilton Head Health Institute in South Carolina, which she facilitated monthly for five years. Jeanne’s approach helps individuals demystify their relationship with food, helping them discover why they turn to either restricting, emotional eating or bingeing and purging. She has presented at IAEDP on the topic of “Eating Disorders 101,” to help educate individuals wanting to pursue their career in treating individuals with disordered eating as well as the 2nd International Conference on Eating Disorders in New York on “The Impact of Pregnancy on Anorexia Nervosa and Bulimia” and published in the International Journal of Eating Disorders. Jeanne has facilitated groups on Women’s Issues, focusing on cognitive experiential techniques to enhance growth and self-esteem; Body-Image Group for Women, focusing on overcoming body shame and body-image distortion, with an emphasis on increasing self-esteem and body-acceptance; Emotional Overeating Groups and Adolescent Groups for both men and women. Publications include: The Impact of Pregnancy on Anorexia and Bulimia, International Journal of Eating Disorders; The impact of Pregnancy on Anorexia and Bulimia, British Review; “Self-Help Groups in the Treatment of Eating Disorders,” Controlling Eating Disorders with Facts, Advice and Resources, 1st Edition and 2nd Edition; Thesis: A Longitudinal Study of the Impact of Pregnancy on Anorexia and Bulimia; and Monthly articles on the topic of emotional eating for the Hilton Head Health Institute Newsletter. 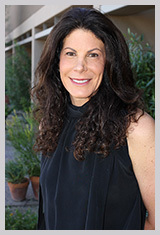 Sheri Robenstine, MA, LPC, has been working in the Mental Health field since 2004. She brings with her a passion for working with women and adolescents. She knew from a very young age that she was going to help others and had made it her career. She earned her Masters Degree from Argosy University in Mental Health Counseling. She has six years experience working with at-risk adolescent females in a residential setting. While completing her degree, Sheri was an intern with Healthy Futures for 12 months. After graduating, she worked for Phoenix Interfaith Counseling, completing the residency program where she gained specialized skills in DBT and ACT therapy. When Sheri is not facilitating groups or individual sessions at Healthy Futures, she enjoys spending time with family and friends. She loves practicing Yoga and going to the dog park with her two dogs. Laurie Geraghty, LCSW, DTR, is a Licensed Clinical Social Worker and a Nutritionist at Healthy Futures. 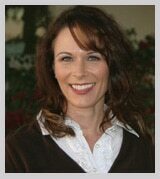 Laurie has more than 15 years of professional experience in the field of eating disorders. She earned her Master of Social Work degree from Arizona State University and has eight years of experience as a Social Worker. Laurie has experience as a Social Worker in an inpatient Psychiatric facility as well as a Medical Hospital. Laurie has been working with individuals with eating issues since 1997. Her experience includes working with individuals with anorexia, bulimia, and overeating disorders as well as childhood feeding problems. Laurie also has experience working with childhood obesity and utilizes the Shapedown concept. Being a Licensed Clinical Social Worker as well as a Certified Nutrition Professional, Laurie is able to use both areas of expertise to assist individuals. Jessica McCall, LAC, MA, serves as a therapist for Healthy Futures. 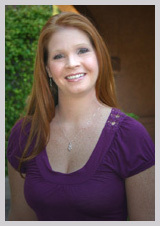 She is an Arizona state Licensed Associate Counselor and been in practice with eating disorder treatment since 2010. She handles initial intake assessments and provides individual and group therapy at Healthy Futures. Jessica has experience in Dialectical Behavior Therapy skills training, Multimodal/CBT theories, expressive arts therapies, as well as other various styles of experiential group work. With a background in sport psychology and team building activities, she engages groups with fun and creative techniques to enhance the therapeutic process. Her experience as a dancer and ballet instructor, in addition to several traditional and non-traditional sports and activities gives her a wide range of skills from which to draw and implement into experiential therapies for individuals and groups. 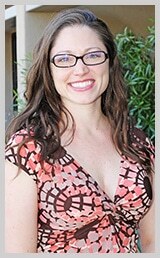 Jessica completed her two master’s degrees from Argosy University, Phoenix in search of her passion. 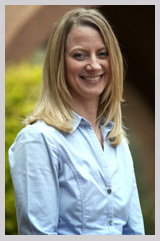 Upon completion of a Sport and Exercise Psychology Masters and a Clinical Mental Health Counseling Masters, Jessica continues to further her skills toward completion of her LPC. Jessica has also recently completed two years of Somatic Experiencing trauma healing training, working toward her SEP.
Jessica has experience in treating eating disorders, ARFID, and adolescent emotional eating in addition to general mental health. Jessica’s caring and comforting nature embodies her therapeutic approach. Jessica spends her free time with her family, getting outside when the weather is nice, and dancing through life! Ilene Smith earned her Master’s Degree in Mental Health Counseling at Argosy University in Phoenix. After many years of working in mortgage banking, she returned to school in order to follow her passion and continued curiosity of the human condition. Through her own personal journey, she has discovered the benefits of mindfulness training and yoga, and incorporates these tools into her counseling style. Ilene has also studied exercise physiology and earned a master’s degree from New York University in exercise science. She has lived in Arizona since 2003 and now considers it her home. In her free time, she loves to travel, collect art and cycle. 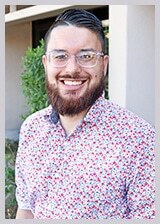 Chris Tatsumi, LMSW, earned his Masters Degree in Social Work from Washington University in St. Louis and his Bachelors of Social Work from Arizona State University. Prior to earning his master’s degree, Chris spent two years working with at-risk adolescents in the foster care system. During his master’s program, he specialized in providing care for people that struggled with addiction. After working with people that struggled with eating disorders in the addiction and foster care settings, Chris decided that he wanted to specialize in working with people that struggle with eating disorders. Since then, Chris has treated people with eating disorders in the inpatient, residential, partial hospitalization program, and intensive outpatient levels of care. Chris uses a client-centered approach and specializes in DBT and CBT therapy. Outside of work, Chris enjoys covering the Arizona State University football and basketball teams with Devils Digest. He is also an avid traveler and hiker. Joshua Rubin, Psy.D., is a licensed clinical psychologist who has been practicing in the field since 2005. Having realized during his undergraduate years that psychology was easily the most interesting and rewarding of his studies, he selected community counseling as the focus of his master’s degree. After graduation, he spent a year working with teenagers and adults at a Phoenix community mental health agency. This confirmed to him that a career in psychology was the goal but also that further education would be important. As such, the final portion of his graduate studies was earning a doctoral degree in clinical psychology at the University of Denver. Since completing graduate school, Josh has had the opportunity to work in a wide variety of clinical settings and with an array of diverse populations. His generalist training includes experience at university counseling centers, in forensic settings, at a primary healthcare center, and as a medical consultant for the state. His professional areas of interest include group psychotherapy, clinical assessment, cognitive-behavioral therapy, clinical supervision, and, of course, individual therapy. Josh places a high value on diversity and multicultural competence in both his personal and professional life. Having had the opportunity to grow up in the east valley, Josh found his way back to the valley of sun several years ago. 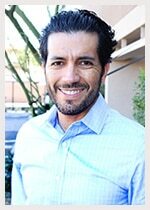 When not working as a clinical psychologist, Josh is a devout music lover, an avid moviegoer, a runner, and loves exploring the many quality dining destinations to be found in the metro Phoenix area.